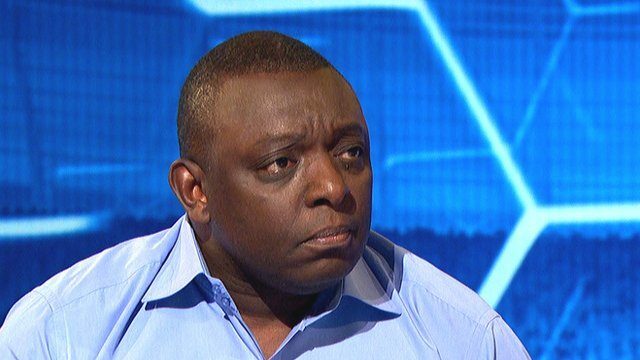 Garth Crooks BBC Sport Team of the Week is relatively good fun, usually because it’s so ridiculous. He loves choosing completely unheard of formations – featuring players in breathtakingly incorrect positions. But last week he incurred the wrath of many supporters, from Liverpool and elsewhere, for suggesting we’ll get relegated unless we buy a new left-back. Alberto Moreno had a shocker at the Emirates of course, and his replacement for the trip to Turf Moor James Milner failed to do anything of note on Saturday. Undeterred by the criticism midweek, Crooks dished it out to Jurgen Klopp once again. In fairness, a lot of what he says makes sense – although this doesn’t mean we believe Klopp lacks courage as Crooks suggests. “What happened to Liverpool? Last week, I said that if they didn’t replace Alberto Moreno at left-back they would get relegated. I make no apology for the exaggerated remark because the point needed to be made. However, putting square pegs in round holes or, to be more precise, James Milner in that position does not solve the problem either. “Matthew Lowton stuck to his task brilliantly, forcing Milner to come in on his right foot on numerous occasions. A club like Liverpool should not be struggling in this department; neither should they be losing to teams like Burnley. The transfer window closes in just over a week, and it’s looking unlikely that Liverpool will bring in further reinforcements. As a result, it’s now our job to concentrate on supporting the side the best we possibly can.